Due to the spreading of yoga in the west, in the last decade, more people are interested in learning this ancient practice. As a consequence, the level of highly trained instructors is on demand in order to teach it properly. For years, the physical part was one of the most widespread aspects of yoga. Many schools and different styles have emerged that are focused on physical practices. Beyond the great benefits obtained by the ásanas or physical postures, many persons have begun to truly understand yoga is much more than just working out, and its major potentiality remains in those unique spiritual and mental techniques of all around development, as well in a particular vision of the universe. Then began a new stage characterized by the need for well-prepared instructors to teach the philosophic and mystic aspects of yoga. The challenge became training as many people as possible in the deepest and subtlest aspects of yoga so they could transmit the physical, mental and spiritual knowledge well. In Ánanda Márga Argentina, the training of yoga teachers goes back to the 80’s. Several ácáryas (teachers of Ananda Marga) were devoted to this task and through their dedication and personal effort many yoga teachers were trained according to Ánanda Márga system. Personally, I participated as a teacher of some of these courses in 1985, 1986 and 2006. 1. Provide comprehensive training in Ra´ja´dhira´ja Yoga, including Spiritual Philosophy, Social Philosophy, Biopsychology and the fundamental principles of Neohumanism and PROUT. 2. Train yoga teachers who are living according to the principles of yoga, and particularly of Ánanda Márga, teaching by their own example and conduct. 3. Develop a common curriculum adapted to psychology and the social reality of Argentinean students, according to AMYA and AMGK standards. 4. 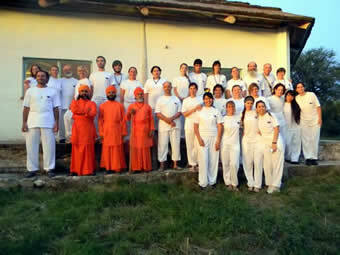 Work in coordination with acaryas from other countries, especially Brazil, to create a common curriculum and a South American Network of Academies of Yoga. 5. 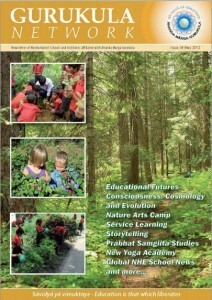 Get the official recognition of Yoga as a science included in standard education. A very important step for us has been our Ananda Marga Gurukula affiliation, allowing us to work in coordination with Ananda Marga Yoga Academy of Singapore and providing to our Academy more hierarchy and the prestigious International AMGK support. For this achievement we got the invaluable collaboration of Dada Shankarsan’ananda, to whom we are deeply grateful. There is still a long way to go, that never really ends, in our pursuit of academic excellence and the best service to society. We hope to carry out this task with maximum efficiency, so it can be continued by those who come after us, carrying the universal message of Shrii P. R. Sarkar all over the world.